We have a little treat for you today… We’re giving you a sneak peek of not just one, but TWO brand new paper pads from First Edition! We are so excited to finally show you these amazing pads and we think that you’re really going to enjoy crafting with them. Both pads are so different but SO pretty – these are sure to inspire lots of makes with endless possibilities for projects! As always, we love hearing your thoughts, so please drop us a comment below letting us know what you think. 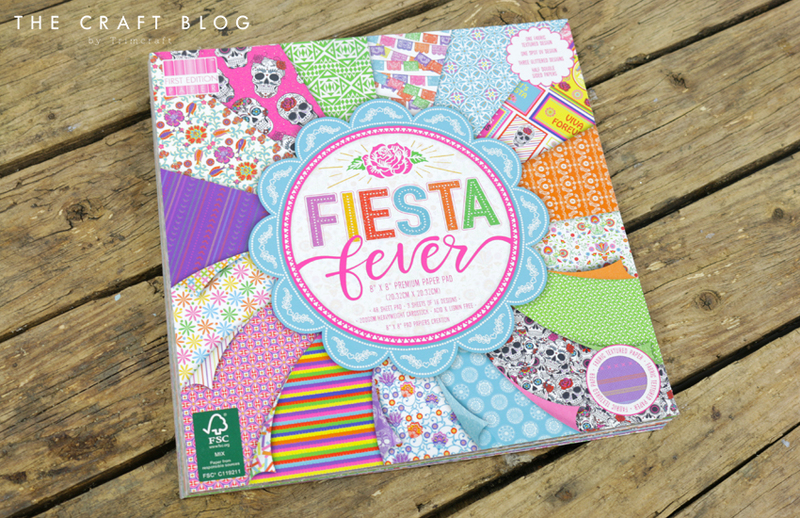 Embrace excitement and magic with this colourful and decorative paper pad, Fiesta Fever! Fiesta is a trend that will never go out of fashion and with its bold colour palette, your handmade creations will pop with enchantment and joy. Peer inside the paper pad to find eye-catching patterns and illustrations of sugar skulls, papel picado, and bright and contemporary florals, perfect for creating unique projects. Don’t be afraid to clash colours, mix up prints and pile on the embellishments to really get into the festival spirit! We’re really loving these vibrant designs. These striking 200gsm papers also feature a fabric texture, UV design, and glitter effect papers, making them ideal for scrapbooking, papercraft, and much more! How perfect are these fun designs for celebration cards?! Capture all of those Perfect Moments with First Edition’s romantic papercraft collection, designed by Katie Pertiet. Adorned with vintage florals, delicate lace-inspired designs and charming repeat patterns, this selection of romantic papers features a chic dusky pink and cream colour palette, making this a versatile paper pack for beautiful handcrafted projects. We’re already thinking up ALL of the things we can use these for! This collection of 200gsm papers feature premium effects, such as fabric textures and pearlescent designs to add an extra special touch to your creations. These romantic designs are ideal for wedding stationery and cards too – bonus! So, which is your favourite paper pad? We really can’t decide (can we say both?!) but what do you think? We’d love to hear your thoughts below! Make sure to keep your eyes peeled in stores in the next few weeks to pick up your own! Absolutely LOVE these new papercollectiuons here. Both are sooo sweet and beautiful and in such light and bright colors, that they´ll work for anything. Loving the perfect moments, ideal for a card for a friend who is renewing her vows in October.